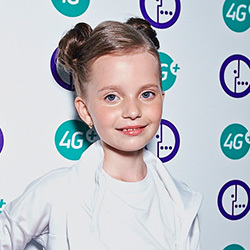 Alisa Kozhikina has been internally selected to represent Russia at this years Junior Eurovision Song Contest in Malta. Alisa is the winner of “The Voice Kids 2014”, and at age 10 she is one of the youngest participants in this years contest. Alisa will sing “Dreamer” which has been composed by Maxim Fadeev, while the lyrics are written by Alisia as well as Serebro who represented Russia at Eurovision 2007. The presentation date of her song has not yet been announced.